It’s been awhile since I’ve posted a Craft Project here, I got bogged down with doing my taxes, and I had company (my parents) staying with me last week. So today I’m trying to get back on track! 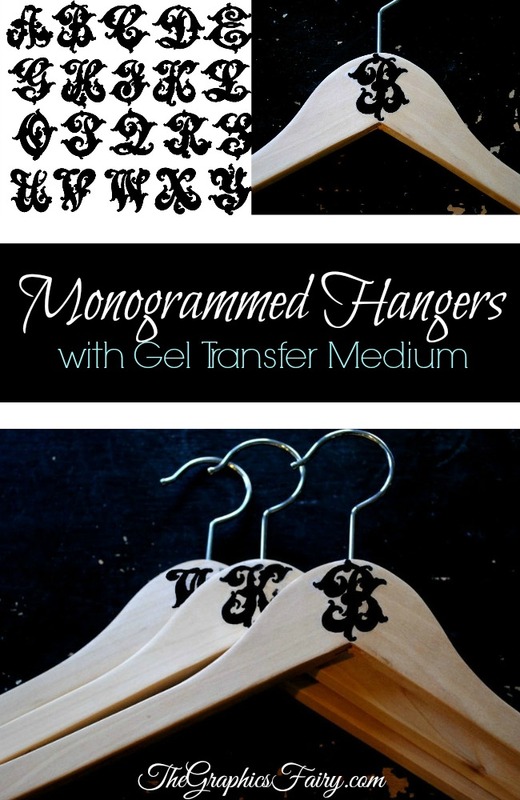 Anyway, I had so many requests for Monograms last week, that I thought I would do a vintage Monogram printable and project, using some wooden hangers. 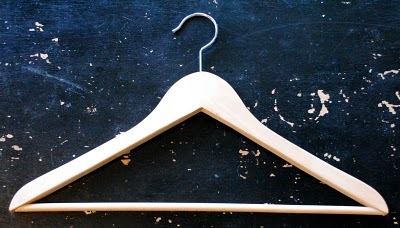 This is the before photo, it’s just a plain wooden hanger, I got a pack of these at Ikea, but you can usually find vintage ones at thrift stores and such. 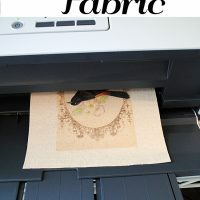 For this project I used Omni Gel Media Transfer, I think I got mine at Michael s Crafts. Since I did a tutorial previously on how to use this stuff, I’m not going to bother repeating myself. You can find the step by step tutorial HERE, on my Vintage Number Coaster Project. Just make sure you trim the letters really well, after you peel the gel off, as you’ll see it a bit if you don’t. I think they would make a fun gift for a Bride and Groom! 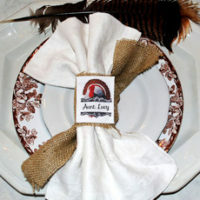 You can use the Monograms for all sorts of other projects too!! Also, if you can’t find the Omi Gel in your area, you could always cut the letters out of the paper and decoupage or Mod Podge them onto the hangers. Update: So it turns out a couple of letters are missing, and I didn’t even notice! Doh! Anyway, I managed to rework the “M” into an “N”. I’ve not had much luck with the “I” though. Although I think you could probably use the “J” as an “I”, in most cases. I love these Mongrammed hangers, so cute! 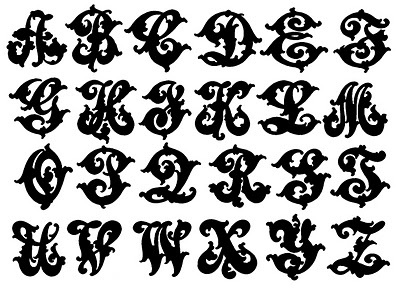 I love monograms. Gorgeous work! Another awesome piece that can be used in so many ways! Thank you! Oh I LOVE these Karen!!! They are fabulous!!! If you get a chance, please come take a look at what’s on my blog…the first magazine came out–yay! Love the hangers and the monograms! Thanks so much! God is in the details! Love this. Great project, Karen! Thanks for sharing. missing? Please let me know or tell me were I am find the missing letters? Because of corse they are some of the ones I need. By the By, really love and appreaciate what you do! This would be a great wedding gift for summer. 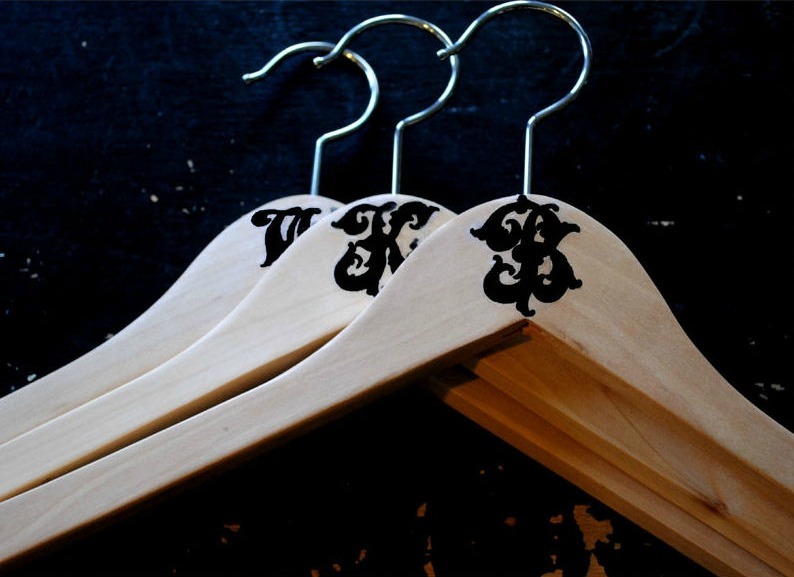 The monogrammed hangers looks lovely! What a great way to customize them. 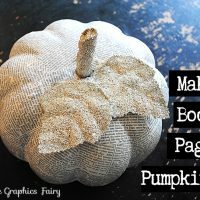 What a great project and a super fun idea. TFS! You are right!!! Doh! I think I can rework some of them and turn them into the missing ones, I’ll try to get to that later today, and I’ll add them to my post. 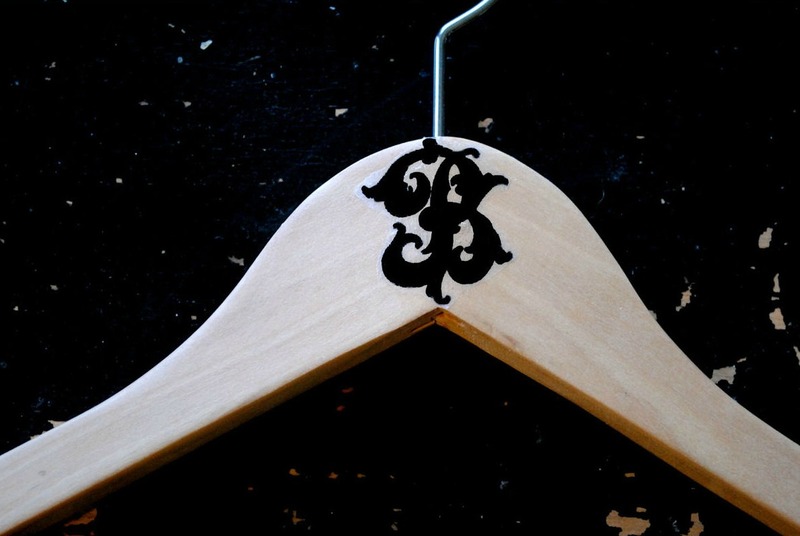 This idea is so cute…..can’t wait to add our monogram to some of our wooden hangers. Great idea, I love these! Thanks for sharing! Thanks, that really helps, and your right I do think the J could be used for the I. 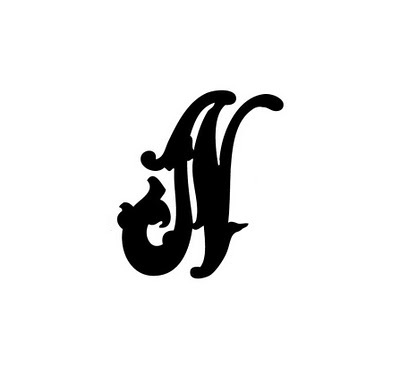 Thank you so much for reworking the M into the N. It will really help. 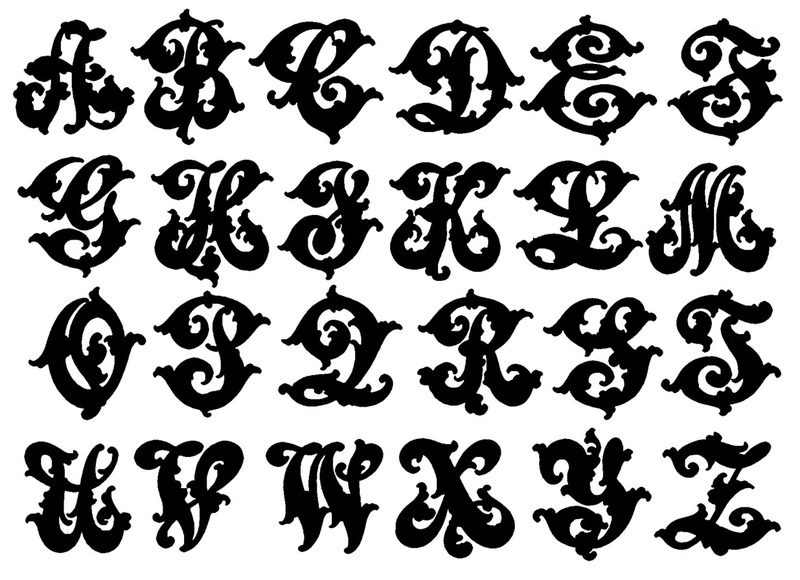 I’m making a label for my friends art work and she really loves this font.